Somalia: On the Brink of Extinction? Good grief, reader. There we were, set for a typical summer’s evening in London – all grey skies and polite humidity – when we noticed yet another upward spike in our traffic, accompanied by referrals from the world’s largest blog host. 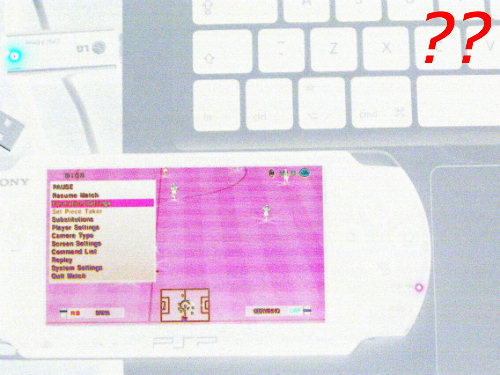 Could it be that this blog was being featured – yet again! 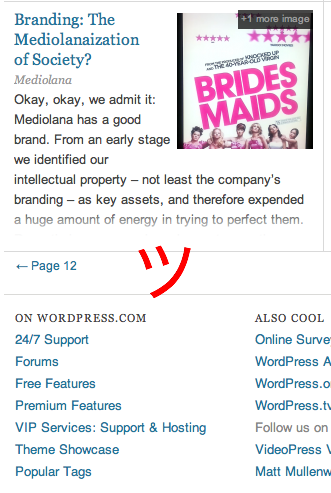 – on the pages of WordPress.com, which at the time of writing hosts about 24,000,000 + WordPress blogs, any one of which can in theory be given exposure by the .com editorial team? Can you guess the answer? 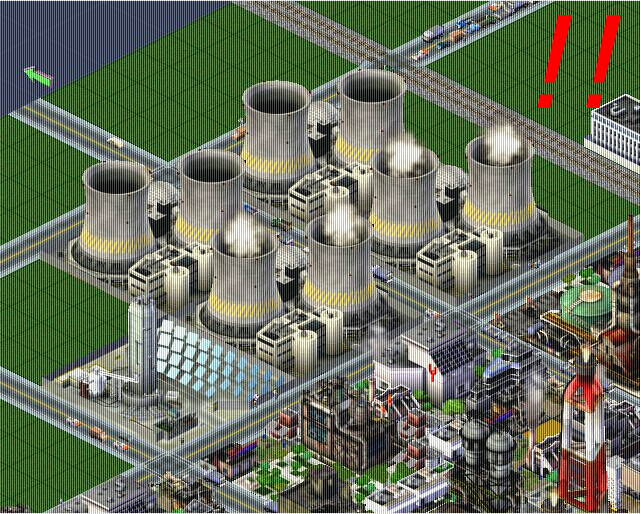 As regular readers of this blog may have already realised, the classic Maxis computer simulation Sim City 3000 – a Weltanschauung masquerading as a video game – is something of a Mediolana preoccupation, so when we heard the news that Germany has decided to shutter all of its remaining nuclear reactors by 2022, it was inevitable that we reached for an SC3000 trope. C. Doubling Germany’s installed renewable energy potential, again by 2020. 1. Leadership. Germany is the first major industrialised country with nuclear power generation capability to chart a defined path forward to a post-nuclear future, a fact which should confer a host of advantages on its economy, particularly its energy and environmental sectors. 2. Principle. While this initiative is on one level a clear reaction to that other Sim City scenario – Fukushima – Germany would not appear to be in any great danger of suffering a similar tragedy, being located in an area of the world with minimal seismic activity. This makes its stance all the move interesting as it has concluded that the innately dangerous nature of nuclear power is nonetheless too powerful a disincentive to make this type of power generation worthwhile. 3. Ideology. Incredibly, this development has taken place not under the tutelage of a socialist or green government, but in a CDU-FDP coalition fronted by the generally uninspired Angela Merkel; as recently as 2010, Merkel had pushed through a plan to extend the lifespan of Germany’s nuclear reactors, with the last one due to expire in 2036. Saturday, 14th May 2011 should be a day archetypal of shared experiences: the date not merely of the English FA Cup Final but the Eurovision song contest, two occasions where hundreds of millions of viewers worldwide tune in to simultaneously watch the same respective cultural experiences. But this kind of day merely serves to highlight how fragmented the experience of culture as a whole has become. Amongst the many great observations in their writings, Jonas Ridderstråle and Kjell Nordström record that as contemporary culture is defined by almost infinite individual choice, it becomes increasingly challenging for people to have many shared cultural experiences at all: people living in the same neighbourhood or even the same country have rarely perused the same books, sat through the same films or completed the same video games. At the same time as this endless difference, recent developments in communications technologies permit an unprecedented amount of informational pooling. We have constant access to each others’ most ostensibly insignificant observations, as well as a range of more profound material. Contemporaneous cycles of divergence and convergence are at work. Is this a good thing? Sting, a denizen of a postmodern MTV culture that is itself straddling import and obsolescence, once remarked that he preferred an era of relatively centralised cultural production, citing that 1960s BBC institution The Wednesday Play as a model with much to recommend it. However, twenty-first century technologies potentially permit not merely conversations on the scale of the nation-state, but international dialogues of unprecedented volume and complexity. This is therefore – at least in this respect – an epoch of immense opportunity; whether the global public splinters into ever-decreasing tribalistic circles, unites around the shared culture enabled by these new technologies or is characterised by the simultaneous intensification of intimacy and distance remains to be seen. The Republic of Scotland: Coming to a United Kingdom Near You? The build-up to the 29th April 2011 wedding of Prince William of Wales and Catherine ‘Kate’ Middleton has generated the kind of wall-to-wall coverage that only once-in-a-generation nuptials, wars or FIFA World Cup hosting rights contests can. But while a seemingly infinite amount of rainforest has been expended speculating upon which dukedom the couple may be allocated or the attendance of certain Middle Eastern aristocrats, few if any seem to be asking whether the soon-to-be Princess Catherine represents the most imaginative choice of spouse in the present climate. While Kate Middleton will almost certainly be hugely popular – at least initially – in the heartlands of Middle England, the young lady from the Parish of Bucklebury is unlikely to add significant value to the economy of the United Kingdom; given that ceteris paribus the UK is likely to struggle to retain the position of global economic pre-eminence it has enjoyed for much of the past two centuries, this is not an entirely insignificant issue. 1. Irina Shaykh. Born Irina Shaykhislamova in 1986 at Yemanzhelinsk, a small town in the southern Urals near the Russian Federation’s border with Kazakhstan, Shaykh has swapped a provincial existence for the life of an über-international model with apparent ease. But she has far more to recommend her than traffic-stopping looks: via her Russian nationality and Tatar ethnicity, Shaykh could have been a vital bridge between the UK and the Shanghai Cooperation Organisation, an entity that is a cross between NATO and the EU in terms of functions and which includes Russia and China as its two biggest member states, with four mineral-rich Central Asian territories completing the present roster. Instead, the 1.78m talent appears to have attached herself to that most uncommon of commoners, Cristiano Ronaldo. 2. Katrina Kaif. Arguably the most eligible single woman in the world’s biggest film industry, twenty-six-year-old Kaif – one of eight children born to an Indian Kashmiri father and an English mother – has seen her stock gradually rise in Bollywood to the point where she is almost synonymous with the word ‘blockbuster’; her career was kick-started by a starring role in the 2007 international hit Namastey London, apposite since Kaif is a British national who works in India on an employment visa. Her status in India – where major film stars are deities in a way that celebrities in Europe and North America can barely conceptualise – means that Kaif could have opened doors for the UK in an economy that Goldman Sachs estimates will surpass the United States in US dollar terms by 2043. She will instead make progress with Dostana 2, a comedy set to be released later this year. 3. Sthefany Brito. A Brazilian national whose first name is the bane of spellcheckers everywhere, the twenty-three-year-old Brito notched a Most Promising Newcomer award from the Sao Paulo Association of Art Critics back in 2001 for her performance as Samira, a Moroccan girl in the Globo telenovela The Clone. The immensely cute Paulista is also a young divorcée, having already married and divorced hyperactive AC Milan and Brazil forward Alexandre Pato. As princess, she could have increased British influence in the Americas and particularly in her country of birth, now the seventh largest economy in the world by nominal GDP and one which is undergoing a social transformation that renders it unrecognisable from the Brazil of recent decades; a future as the spouse of another technically-accomplished footballer surely beckons. 4. Carissa Putri. Of Indonesian, German and Dutch extraction, Frankfurt-born Carissa Putri Soelaiman is the most exotic bridal candidate. The face of Rexona, TelkomSpeedy and Marie France Bodyline, the twenty-six-year-old – an alumnus of Pelita Harapan University’s Faculty of Social and Political Sciences – also has a burgeoning acting career, with her most famous role to date being that of an Egyptian Coptic Christian in the intriguingly titled drama Ayat Ayat Cinta (‘Verses of Love’, 2008). More practically, Putri represented the keys to the heart of ASEAN, presently a bloc of ten member states in South-East Asia with a 2010 GDP of nearly US$2trn and which has concluded free trade agreements with – amongst other countries – China, Japan, India and Australia. Putri is pressing home this point in her current role as Brand Ambassador for Nokia Indonesia. 5. Lena Meyer-Landrut. A high school graduate who came from nowhere to win the 2010 Eurovision Song Contest as a nineteen-year-old, Meyer-Landrut offered extraordinary princess potential. Her genuinely iconic looks and charismatic eccentricity might have revitalised the House of Windsor in a way that little else could; her bloodline (Hungarian nobility) and nationality (German) made her a perfect fit for a family whose original name is Saxe-Coburg and Gotha. But even more attractive than this: the chance to anchor the United Kingdom to Europe’s powerhouse economy, the land of the mittelstand, the exporter’s exporter. This missed opportunity will become all the more apparent if Meyer-Landrut bags the 2011 Eurovision title, an occurrence that is almost as certain as William and Kate getting married. 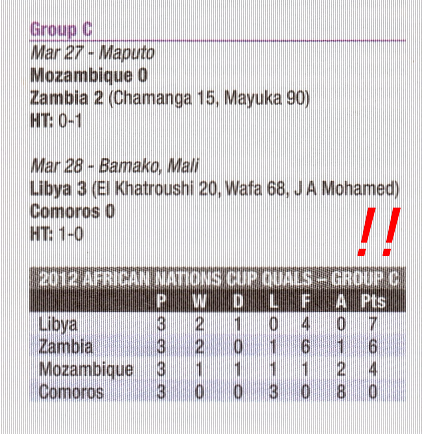 The May 2011 edition of World Soccer – a publication in a particularly cerebral phase and which presently vaunts a Web 2.0-inspired aesthetic – reports that despite an internal situation that can be described as challenging, the Libyan national football team lies atop qualification Group C for the 2012 Africa Cup of Nations. A recent 3-0 thrashing of the mighty Comoros – a game held in Bamako, the burgeoning capital of Mali – means that Libya could mathematically book a place in next year’s finals in oil-soaked Equatorial Guinea and Gabon as early as the first week of September 2011. Almost totally overshadowed by the teams of other Maghrebian countries – neighbours Tunisia and Egypt have enjoyed considerable success at continental level and have qualified for the FIFA World Cup finals six times between them – Libya’s presence in the latter stages of major tournaments has been a rare phenomenon, occurring only twice to date: the 1982 Africa Cup of Nations, which they hosted, losing the final on penalty kicks to Ghana; and the 2006 iteration of the same tournament, when a team featuring two cult footballers – Tarek El Taib (Gaziantepspor, Al Hilal (Riyadh)) and Jehad Muntasser (Arsenal, Treviso, Catania) – and a Uruguay-born goalkeeper crashed out in round one. The present vintage could become subject to extraordinary pressures in the event of a further escalation of violence in Libya, and in this respect would do well to avoid the sobering precedent of another North African state: going into the 1992 Africa Cup of Nations finals in Senegal, Algeria’s squad was said to have been riven by divisions between supporters of the Front Islamique du Salut and those who were not so enthusiastic; Algeria shortly descended into a gruesome civil war from which it may take generations to recover. The situation on the ground in Libya in 2013 – when the country is scheduled to host the Africa Cup of Nations – confounds prediction.